Regan Gray and her partner George Okulitch first learned about ADUs in 2010 when they read a press release about Portland’s waiver of System Development Fees (SDCs) for ADUs. Regan explains that one of her greatest inspirations for creating an ADU was preserving the character of her neighborhood. Meanwhile, Hammer & Hand – a Portland, OR green building company – was also interested in exploring ADUs as an infill housing option. Shortly after reading the press release published by the City of Portland, Regan and George found another press release, this one by Hammer & Hand. Regan and George decided to team up with Hammer & Hand to create a test case. 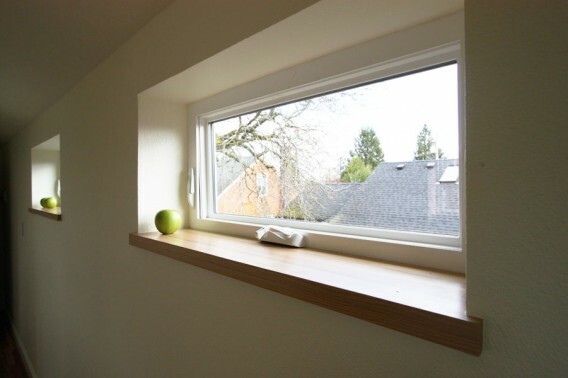 You can read more about the Super Efficient ADU on Hammer & Hand’s website. The couple co-financed the project with Hammer & Hand. As they developed the design for the ADU, they balanced several considerations. 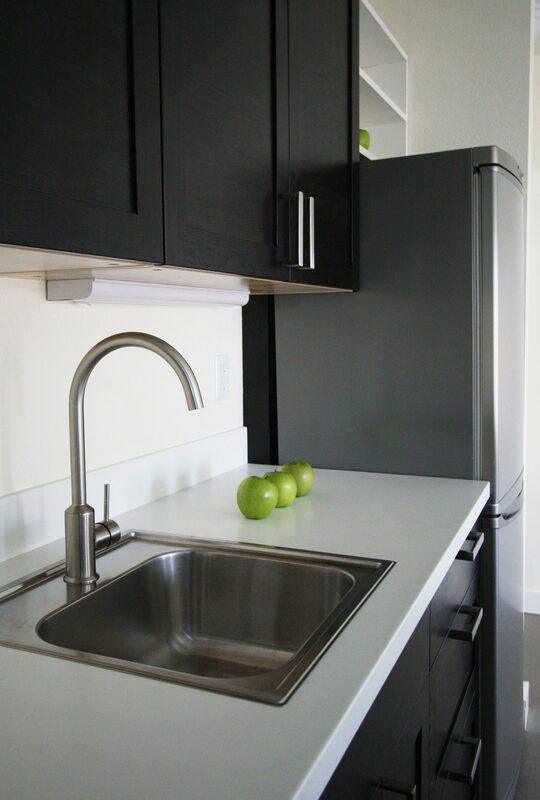 Rental value was key, so Regan kept asking herself “What are tenants going to want to see?” She landed on a clean, crisp look with stainless appliances and a modern bathroom with a rain shower. Although many ADUs contain only one bedroom, George and Regan decided they wanted to create a two-bedroom ADU to improve rent-ability. 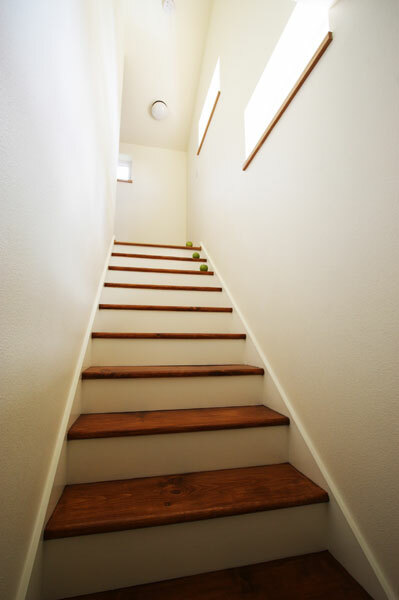 In order to maximize space, the designer tucked the toilet under the stairs. Like many lots in the Concordia neighborhood of Portland, their property abuts an alley. So they decided to locate the ADU as far back on the property as possible so that it can be accessed from either the alleyway or the street. Sustainable design was another primary focus. 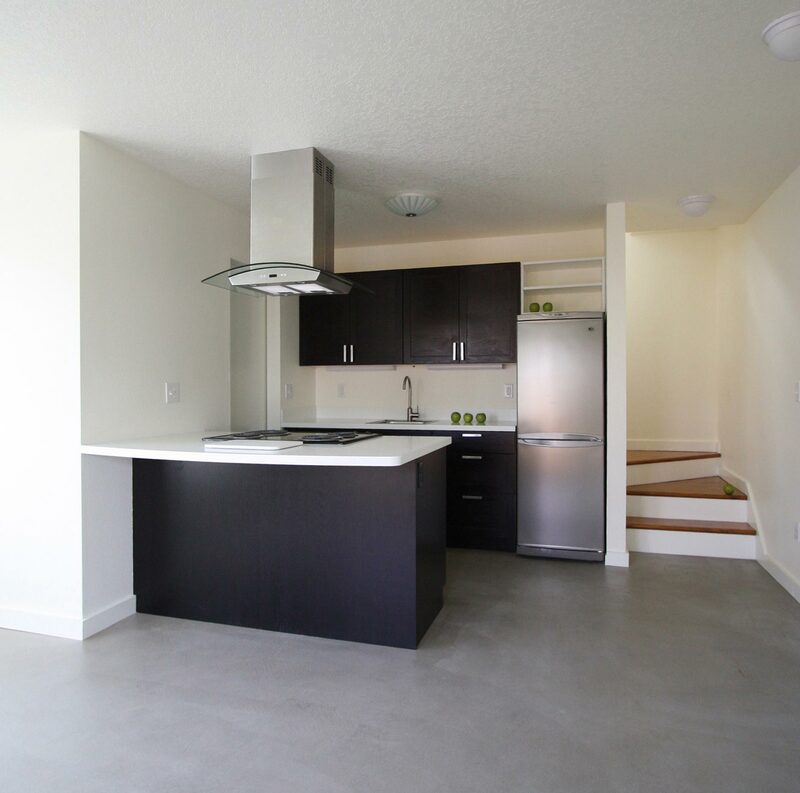 In order to showcase green building techniques, the ADU was built following Passive Haus standards. The Cadet heaters rarely run and there is no need for air conditioning. Regan is proud of the reclaimed hardwood floors and the look of the glulam beam against the vaulted ceilings. The team faced a few regulatory challenges in their design-build process. Regan explains that since their ADU included several pioneering sustainability features the architect and builder worked with the City of Portland to address challenges and concerns. Dan at Departure Architecture drafted up the plans hoping to replicate this ADU around the city. 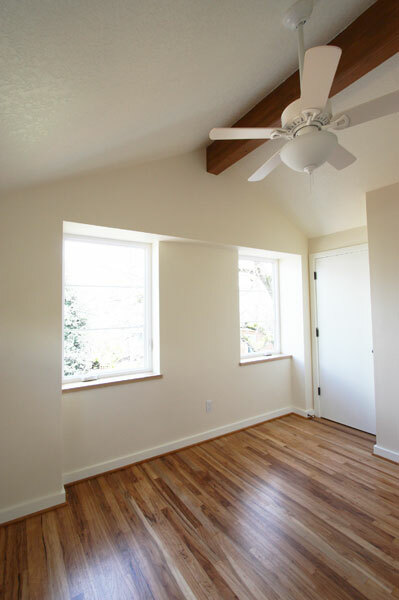 However, because Portland has a requirement that a detached ADU match the primary dwelling, changes to roof pitch and other exterior elements made it difficult to replicate affordably. Despite the frustrations they faced during the financing and design process, Regan and George are pleased with how well their ADU has been received. The ADU was featured in a Jetson Green article in April 2011. Both the owners and the design-build company have shown the house on several tours, including the 2011 Build It Green Tour. (You can read about Hammer & Hand’s take on featuring the ADU on the BIG Tour. Regan and George currently rent out both the primary dwelling and the ADU. 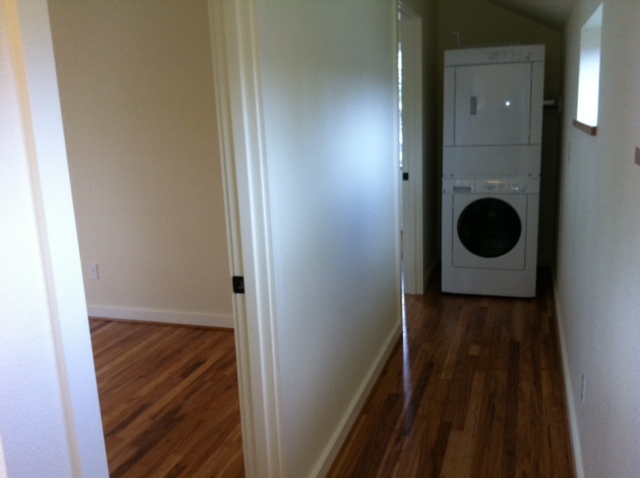 (Portland is one of the few cities that allows homeowners to rent out both units.) Regan explains that the tenants in the house and ADU don’t interact much because the two units were designed to be private. Other than sharing recycling and compost bins with the tenants of the main house, and getting mail from their mailbox at the front of the primary dwelling, the ADU tenants are fairly autonomous. When considering their plans for the property in the future, Regan appreciates that they have lots of options. 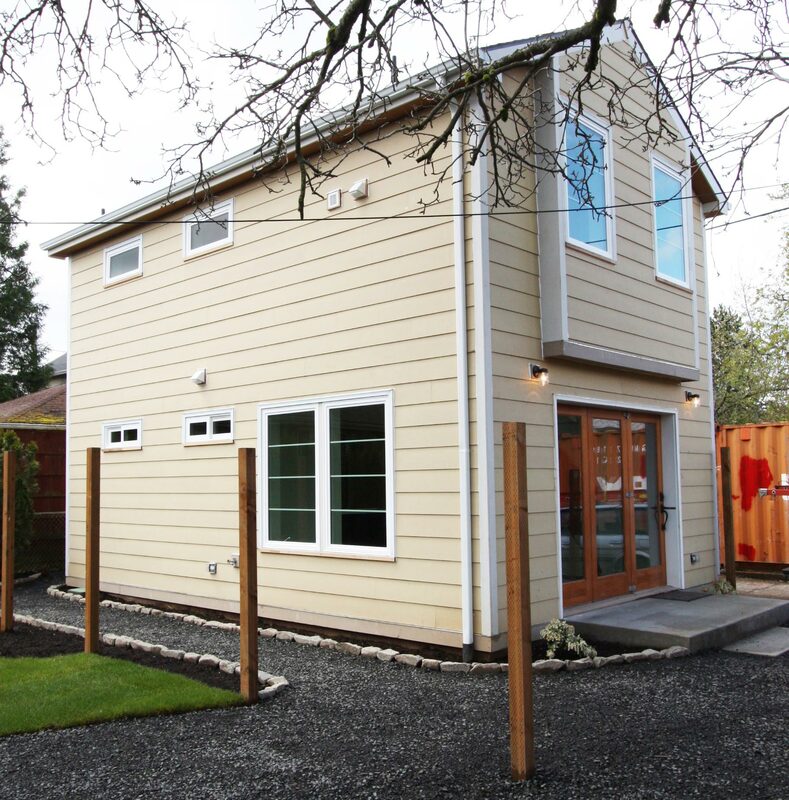 So what advice does Regan have for homeowners considering creating an ADU on their own property? Hi. My name is Lina Menard and I'm a small house dweller, designer, blogger, and builder. 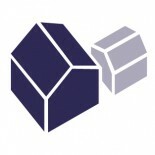 I'm currently collecting ADU Case Studies for AccessoryDwellings.org. 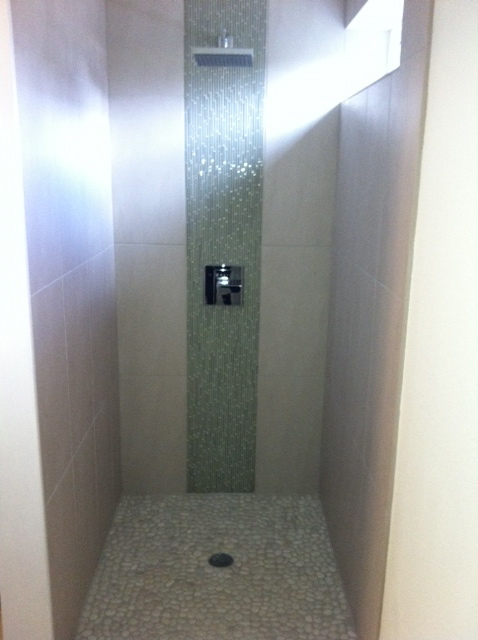 Through my company Niche Consulting LLC, I help people design and build the home (and life) of their dreams! I also tell my stories about simple living in small spaces - like a travel trailer, a yurt, a backyard cottage, and tiny houses on wheels - at Niche News. 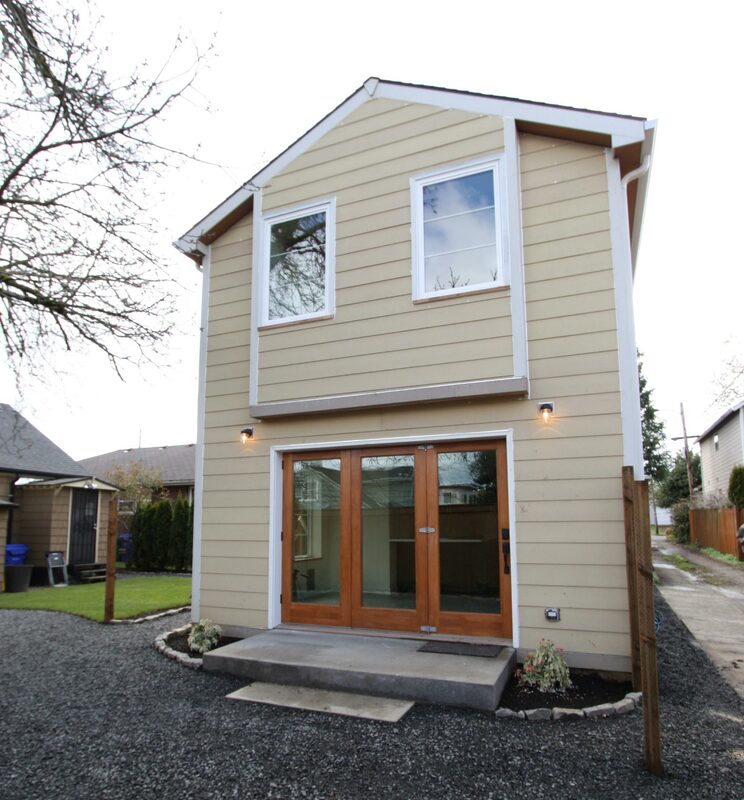 This entry was posted on January 21, 2015 by linamenard in 600-799 SF, Alley, Case Study, Detached, New Construction, Projects and tagged alley ADU, backyard cottage, Departure Architecture, energy-efficiency, energy-efficient ADU, financing, financing an ADU, fund an ADU, George Okulitch, Hammer & Hand, highly-efficient ADU, Passive Haus, Regan Gray, super-insulated ADU.